After the downpour earlier today, the weather has been just beautiful - cool, light wind and slightly cloudy skies. 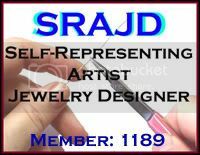 I've had a rather productive afternoon working on custom orders and also slipped in a new piece which I simply adore. 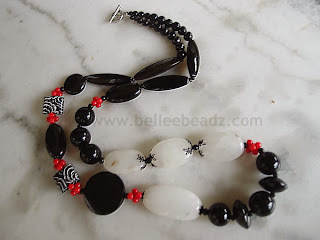 Comprising various shapes of black onyx, white agate, polymer clay pillows and for contrast, little dumbell shape coral. Black spacers and bead caps. Necklace ends with a Bali sillver toggle and total length of necklace is 33"